The first human fossil of Arabia was recovered from the Al Wusta site in the Nefud Desert of Saudi Arabia. 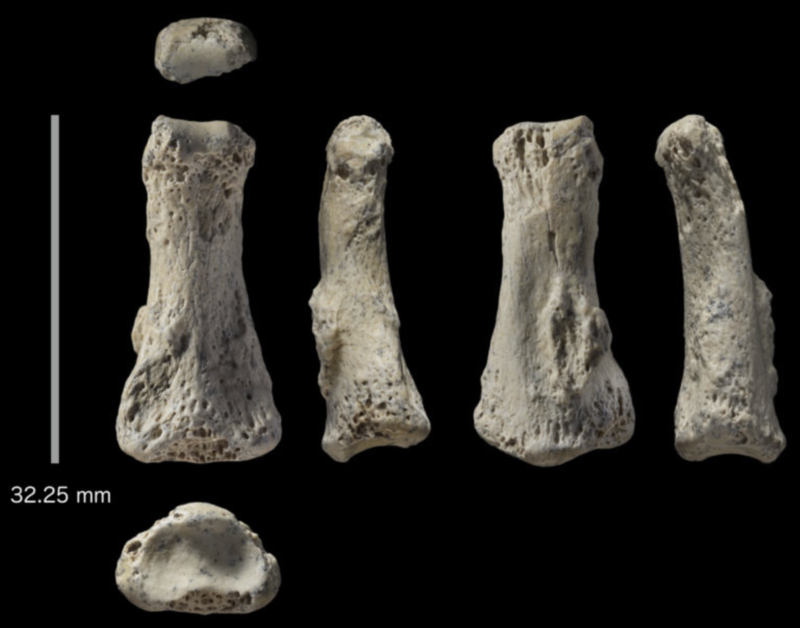 The fossil finger was examined by a group of experts, showing that it fit with our own species, Homo sapiens. 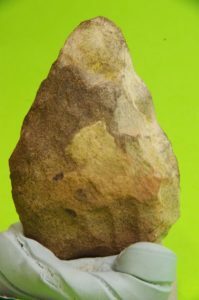 The finger was directly dated, as were the sediments on site, to approximately 85,000 years ago. This finding was extremely important, in that it demonstrated that the migration of early populations of early humans was geographically more widespread than previously believed. The fossil finger was associated with Middle Palaeolithic technology, together with fossils of mammals, including hippo. During the time of human occupation, the site would have been on the shores of a freshwater lake, surrounded by grasslands and dunes. For more information, see the extensive news coverage linked on our Media page. 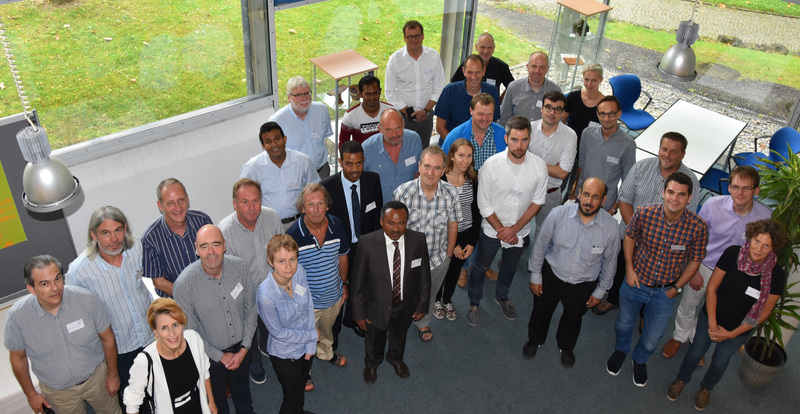 A number of interdisciplinary scientists recently met at the Max Planck, in Jena, Germany, to explore the potential of the Jubbah sediment record and how state of the art research methods and protocols can be applied. The workshop hosted leading scientists in such fields as chronological dating techniques, sedimentology, geochemistry, palaeoecology, mapping, archaeology and archaeogenetics. New research will now be conducted to examine the environmental history of Jubbah palaeolake and the Nefud Desert. For more information click here. The Jubbah palaeolake was recently drilled by Saudi Aramco, and supported by the Saudi Commission for Tourism and National Heritage. 80 meters of drill cores were sent to the GFZ in Potsdam, Germany, for storage and core cutting. 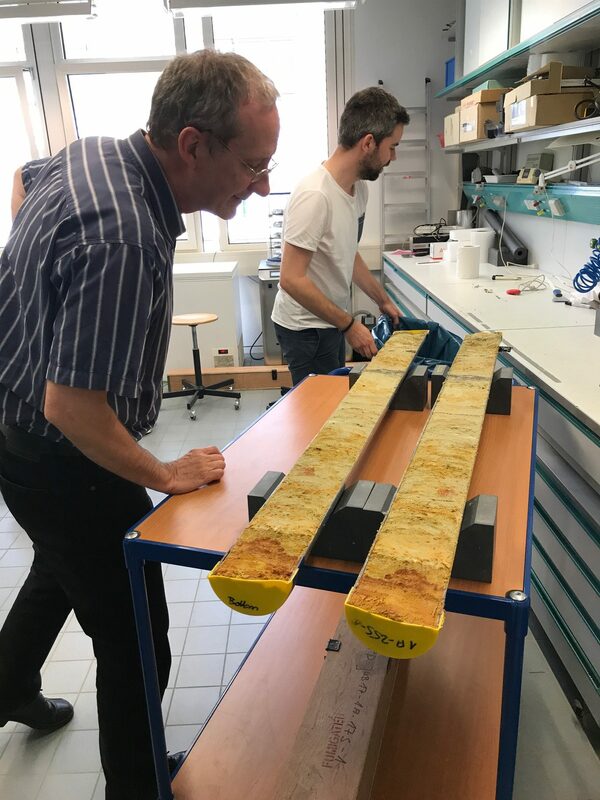 A entire drill core has been recently split, allowing the team to observe a number of environmental changes through time. A team of interdisciplinary scientists will come together to analyse the sedimentary history of the lake through time. 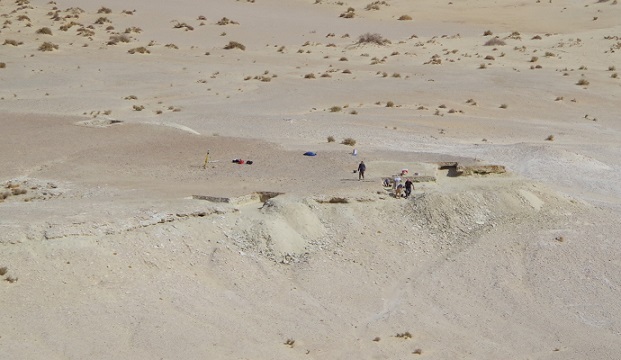 The sedimentary and environmental history of the Jubbah palaeolake and the Nefud Desert will now be documented and published over the next several years. Drilling of Jubbah palaeolake in the Nefud Desert of Saudia Arabia. 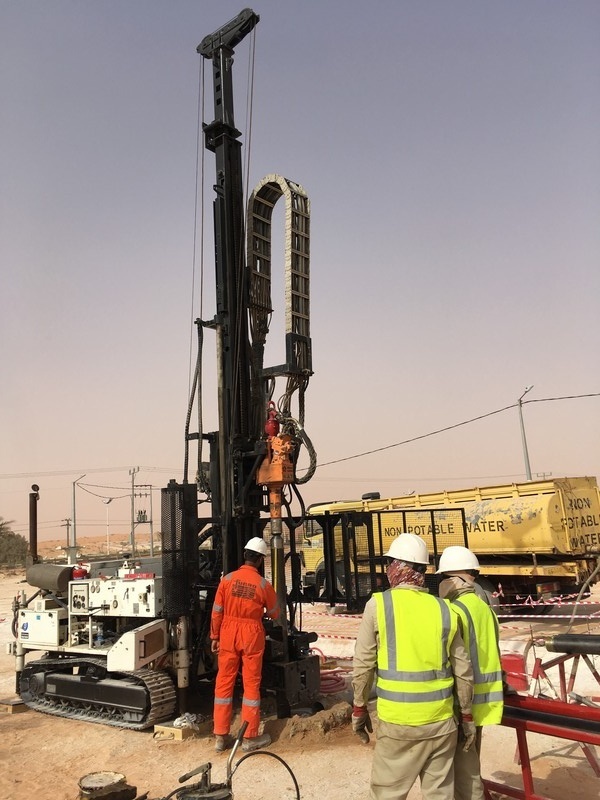 The Jubbah palaeolake has been successfully drilled, providing an unprecedented opportunity to examine environmental change in Saudi Arabia from the present and back to more than 500,000 years ago. It is expected that the drill cores will show fluctuations in the lake through time, from a deep water body to a dried up bed. 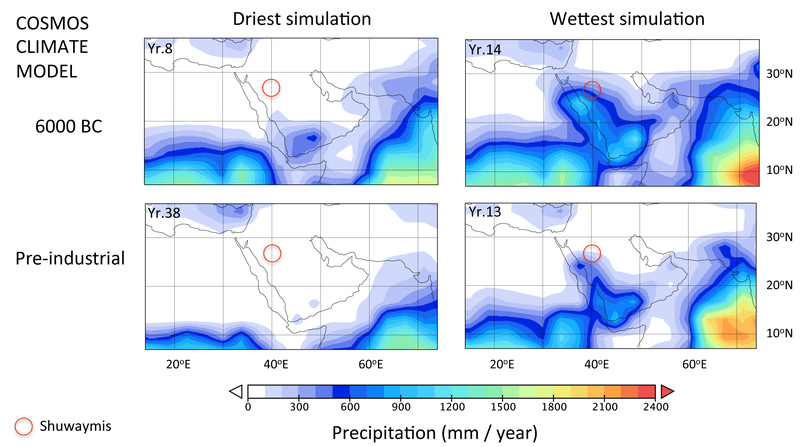 Fluctuations in lake levels are likely to shed light on the ability of humans to live in the Nefud Desert during both wet and dry periods. 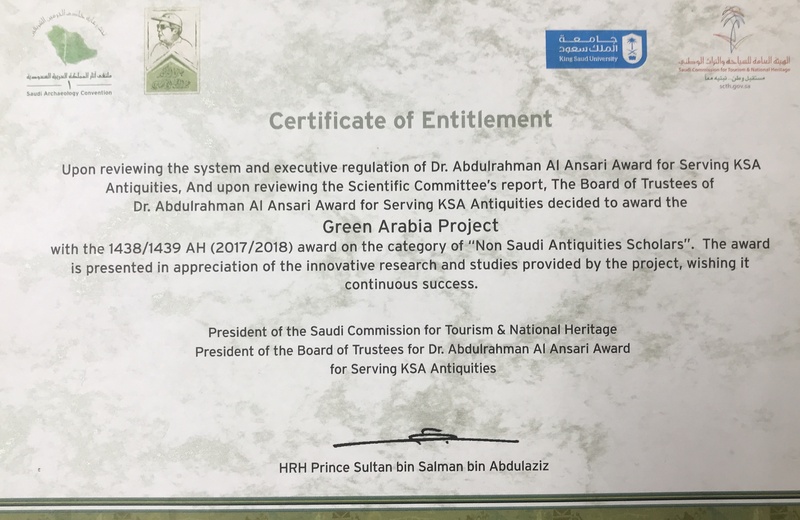 The project is supported by the Saudi Commission for Tourism and National Heritage, Saudi Aramco, and the Max Planck Institute for the Science of Human History. A team of researchers has been awarded a grant by the Leverhulme Trust to explore the migrations of humans out of Africa. 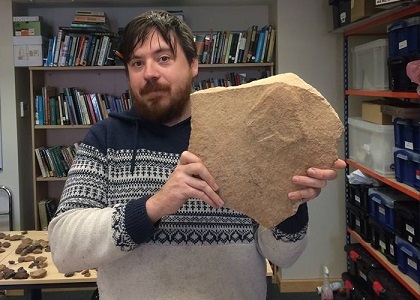 The project is led by Simon Blockley of Royal Holloway, University of London, Michael Petraglia of the Max Planck Institute for the Science of Human History, Simon Armitage of Royal Holloway, University of London, and Chris Stringer of the British Natural History Museum. The project began on July 1, 2017, and is titled “Unravelling the pattern, impacts and drivers of early modern human dispersals from Africa.” For more information, click here. The Pleistocene vertebrate record of the Arabian Peninsula is poorly known. In our latest paper we report on an important contribution to the record and describe the results of collaborative investigations with the Saudi Commission for Tourism and National Heritage and Saudi Geological Survey of the fossil site of Ti’s al Ghadah in the southwestern Nefud desert. Our dating analyses indicate that the fossil assemblages, which were recovered in situ underlying an ancient lake deposit, are c. 500, 000 years old. 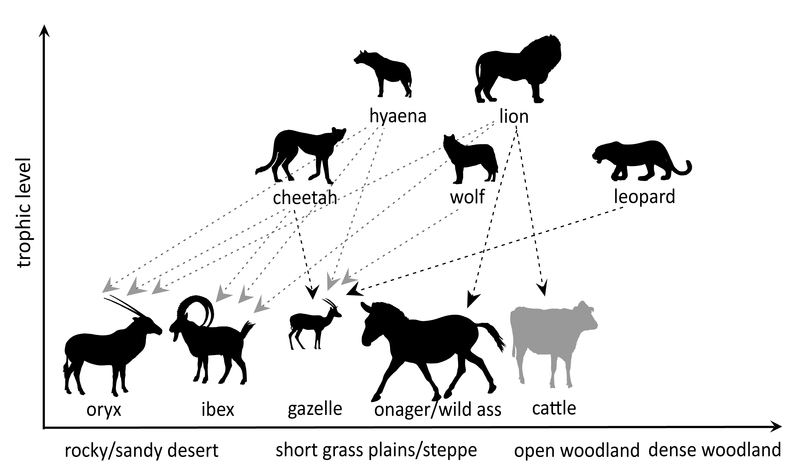 The identified animals indicates the presence of large bodies of water and substantial grassland habitats in the Pleistocene of the southwestern Nefud: we infer that animal bones accumulated at Ti’s al Ghadah because herbivores, as well as their predators and scavengers, were attracted to freshwater and plant resources in the inter-dune basin. The identified assemblages include extinct mammals such as the elephant, Palaeoloxodon, and the Eurasian jaguar, Panthera cf. gombaszogensis, as well as extant mammals such as oryx, onager and golden wolf. The excavations also yielded the first stratified Pleistocene bird bones from the Arabian Peninsula, which include records of Egyptian vulture, grebe, ostrich and sandgrouse. 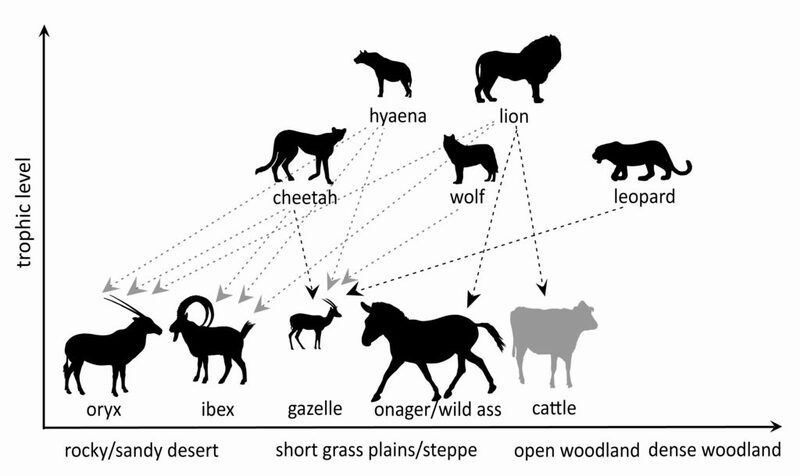 Read more in Middle Pleistocene vertebrate fossils from the Nefud Desert, Saudi Arabia: Implications for biogeography and palaeoecology in Quaternary Science Reviews.